The end of the first quarter of the 2016/17 financial year signals a change in focus for my blog. We circle back to the phased budget we prepared earlier in the series and do our quarterly review of your actual Q1 results compared to the budget and prior year. Your Accountant or CFO or Virtual CFO or Part-Time CFO should be providing this management reporting and analysis within a week following month-end. The timeliness, interpretation and understanding of the numbers are key, and exceptions should be noted or flagged early for explanation and/or remedial action if required. In my experience, the financials should be presented in a concise but comprehensive slide deck of six or seven slides/pages. As a guide, try having the P&L and related reporting taking 5 slides, and one slide each for the Balance Sheet and Cashflow. The slide deck should be presented and discussed at a monthly management meeting. This week we will look at the Profit and Loss statement. The following assumes a manufacturing entity, but is easily translatable to any entity for reporting purposes by ignoring irrelevant lines such as materials. Ideally your P&L reporting should be in a format which shows actual month and quarter numbers alongside budget month/quarter and prior year month/quarter per the illustration following in Figure 1. Graphs can also be used to illustrate the story too for as the saying goes ‘a picture tells a thousand words’. Each line of your P&L should be reviewed by your Accountant or CFO in the first instance comparing budget and prior year figures and flagging exceptions (TIP: I use a colour code system of RED and GREEN as an effective flag for exceptions). The Sales numbers require a drill down analysis which is a Price-Volume-Mix Variance analysis by category or segment. This should be the second page of your P&L Report and will help explain any variation in sales between actual, budget and prior year. An analysis should be undertaken to understand the material numbers and ratios for such things as Material Purchase Price Variances, Material Scrap and Usage Variances, Stocktake Variances and exchange rate variances for imported materials. With this information, combined with the sales analysis above, you should be in a position to understand what is driving these numbers and why they vary in comparison to the budget and prior year figures. As with materials, you need to further analyse the direct labour numbers and drill down into things such as non-productive time, overtime, labour efficiency and even labour rate variances. It is the same with variable overheads; you need to get into the detail to understand the exceptions and the bigger picture. Again, by using all the information and analysis gathered above, you should be able to explain the gross margin variances and also the % variances. A dissection of the overheads incurred by the business should be listed in another report with a ‘dice-and-slice’ by department included in the report. Again exceptions need to be flagged and understood. Having completed the analysis, the story behind your PBIT should be clear. 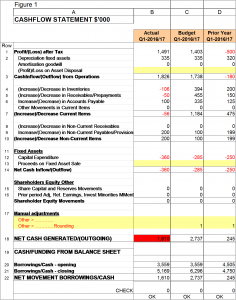 I hope you can see that by diving into each line of the summary P&L, you build up a concise picture of why your actual profit/loss varies to budget and prior year. The numbers are nothing without understanding the story behind them and they can prove to be an insightful and powerful tool for building a sound foundation for business success. You might notice my slogan that goes my logo is “going beyond the numbers” and that is exactly what you should expect from your key finance personnel. 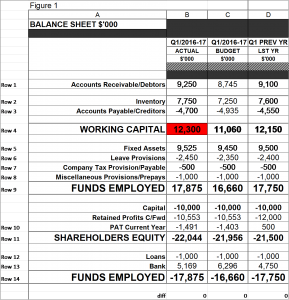 Next week will move to the Balance Sheet. This entry was posted in Uncategorized and tagged chief financial officer, part time cfo, strategy, Virtual CFO on October 10, 2016 by rossadmin. This week, I thought I would follow on from the theme of last week’s blog on food and agriculture, and introduce you to the area of Agricultural Technology StartUp, or Ag-Tech. 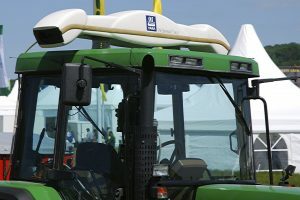 Things such as the commercial application of drone technology, robotics and sensors to the agricultural sector are examples of such ag-tech. Given the world’s growing population and finite resource availability, agriculture needs to become more productive and innovative to feed the growing population. Agriculture has always been a key industry for Australia and with the opportunities presented by our location and region, and China in particular, our ageing agricultural producer population is seeking to bring scientists and IT professionals to the industry. Along the way inspiring a new generation of agricultural personnel. A new entity has recently been created by a joint venture between the National Farmers Federation and a private equity partner. This new entity creates an Ag-Tech support centre to kick-start start-ups for the sector focussed on developing new agricultural technology. The entity, SproutX, launched recently and is based in Melbourne. It is the first entity of its type in Australia and has received State Government support. 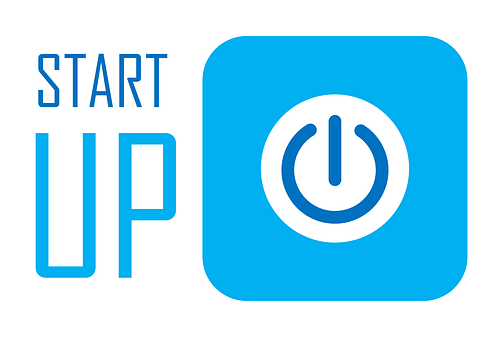 It is now accepting applications for its Pre-Accelerator program and will soon be accepting applications for its Accelerator program. The Pre-Accelerator program is currently open and offers a free 6-week course to prepare start-ups for the Accelerator program itself, by fleshing out ideas, providing mentoring, online lectures and some cash to go towards bringing ag-tech ideas to life. The Accelerator program itself is backed by a $10million fund. It gives ag-tech start-ups access to all the best practical and mentoring advice, cash grants, distribution opportunities, media, PR and office space in an ag-tech hub with direct access to experts and connections to the agriculture industry. The goal is commercialisation of ag-tech ideas. Applications open in November for this program. Ironically, I heard 2016 Casey Cardinia Business of the Year, Australian Fresh Leaf Herbs, co-founder Mr. Jan Vydra speak at a business breakfast last week about the need for evolution of the sector and the challenges of making farming attractive to young entrepreneurs. The SproutX initiative presents a great opportunity for fledgling agricultural startups to provide a sound foundation for business success, as well as the success of the agricultural sector itself. Due to recent requests, the blog next week will focus on management reporting and analysis covering the end of the first quarter of this current financial year. We will start with the Profit and Loss Report next week. This entry was posted in Uncategorized and tagged chief financial officer, startup, strategy, Virtual CFO on October 2, 2016 by rossadmin. 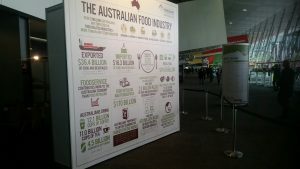 I recently attended the Fine Foods Trade Expo at the Melbourne Convention and Exhibition Centre on a cold wet Melbourne Day. You might be wondering what an accountant is doing at such a trade show event? I find attending such an event gives me a perspective and update on the state of such a key industry. It is a source of ideas and inspiration for me and my clients and, naturally, a place to network with prospective customers. Officially titled the ‘Fine Food Australia: The 32nd Australian International Food & Drink Exhibition’, the annual four-day trade only event alternates yearly between Melbourne and Sydney. Over 1,000 exhibitors and 25,000 visitors salivated at the array of available samples alongside over 3,500 interstate buyers and over 700 international buyers from around 50 countries. The 30k SqM of exhibition space was split into 10 smaller zones:- Catering Equipment, Retail Equipment, Hospitality Equipment, Packaging, Baking Food, Fine Food, Meat & Seafood, Free From/ Natural Products, Dairy World, Drinks World and Flavours of the World (International Pavilions). Regular demonstrations and educational presentations were in evidence along with the usual networking opportunities. Previous Fine Food Show statistics from the 2014 Melbourne Exhibition identified $90k+ in sales leads were generated from an average 100+ leads for each exhibitor. At $3.5k for a 3metre by 3metre booth, the return on investment is sound. Even if you are not directly in the Food business, it might present an opportunity to think outside the box and figure out how you can get involved in this growing agribusiness sector. Packaging companies, ingredient producers, transport entities, shop-fitters etc. should consider attending. My take-out and thought provoker to you is ‘Have you considered taking out a stand or booth at trade events or expo’s?’ It might be worth considering as it could present an opportunity to find new customers or expand your business networks. Do you go to any trade shows or expo’s as a visitor just to get some differing incites, trends and ideas you might apply to your own business to provide a sound foundation for business success? This entry was posted in Uncategorized and tagged part time cfo, startup, strategy, trade show, Virtual CFO on September 26, 2016 by rossadmin. 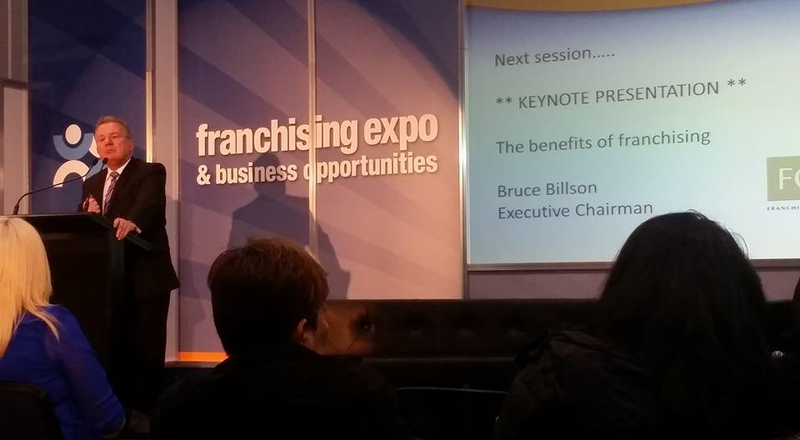 I recently went to the Franchising Expo in Melbourne at the Exhibition Centre to listen to the latest developments in the industry. The sector is governed by the ACCC’s Franchising Code of Conduct. As a bit of background, there are over 1,000 franchise networks in Australia employing almost half a million people so franchises are a significant part of the economy. Franchises are everywhere, ranging from the iconic McDonalds, the stable of “Jims” franchises through to more recent franchise models such as HR services for business. Franchising is a 2-sided relationship with the franchisor entrusting their brand and reputation to you as the franchisee. Franchise fees range between $5k and $1miilion plus ongoing monthly fees. The advantage of taking out a franchise is that you have access to a ready-made business brand, support, infrastructure, marketing, mentoring and systems so you are ‘not on your own’. Whilst I acknowledge franchising is not for everyone, it certainly does increase your chance of business success with far fewer businesses failing than traditional owner-operator businesses in percentage terms. I would suggest that before you consider whether Franchising is an option for you, reflect on your motivations and how you prefer operate as a business person. If you think you are ‘buying’ a job or creating an ‘annuity’, I would suggest you think carefully as buying a franchise is a big commitment and investment and it has all the risks of business, so is not a guaranteed recipe for success nor is it a cruisy way to make a living. Do you like structure and procedures or do you like to do your own thing? If you don’t like following set procedures and would rather be a genuine entrepreneur, then perhaps franchising is not for you. One of the key obligations under the Franchising Code is the obligation of the franchisor to give prospective franchisees a disclosure document along with a copy of the franchise agreement. Please ensure you get a good lawyer to review these documents as they can be quite complex. Before you commit to a franchise agreement, do your due diligence and ensure you talk to existing franchisees as a key part of the evaluation process. Do your numbers carefully, and as I keep saying in these blogs, make sure the 3 key strategic objectives of profit, cashflow and return on investment targets reflect the risk you are taking. Do a pre-purchase review with a good accountant and complete your business plan. Don’t rush any decision to join a franchise. Ensure you treat this decision as you would any business investment decision and have a sound strategy in place as a foundation for your franchise business success! This entry was posted in Uncategorized and tagged franchising, startup, strategy on September 11, 2016 by rossadmin. Business Blog No 27 – StartUp Success – Uber? I am sure all of us have heard of Uber, the ride-sharing start-up service disrupting the traditional taxi services industry. What you may not have heard is that globally Uber reportedly lost US$1.2billion (that is BILLION, not million) in the first half of 2016 and the losses are continuing to grow! Does that mean the “sharing economy bubble is bursting” and that the US$69million valuation of Uber is baseless? When will Uber make a profit and what is in their strategic plan to get to profit? Are they ‘investing’ in the future rather than ‘making losses’? What will it take to make money in the longer term? In my view they will have to increase prices and fees to become a sustainable business at some point. 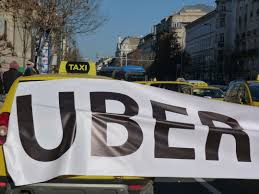 The likelihood of having fewer taxis on the road driven out by competition of a lower cost disrupting business which may then be followed by hikes in prices by Uber is a scenario I see happening, particularly if the taxi industry cannot get its act into gear. If a business is not profitable in the medium to longer term, it impacts far more people than just shareholders and investors. There are employees, customers, suppliers, banks and the overall economic impacts that can suffer if a business fails. What you may not have heard is that Google launched a pilot ride-sharing program in May in California to directly compete with Uber. It is clear that the disruptor Uber is now being disrupted by Google so nothing stays the same for long! Having said that, it is clear that Uber have created a new way of getting from point A to point B and that as such, ride sharing is here to stay. The question is in what form will that take in the future? This leads me to the question; what is your business model? Is it sustainable? Is a profit objective at the core of your strategy? 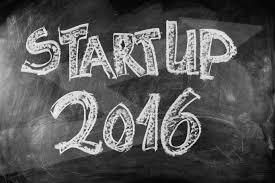 If you are a start-up are you growing too quickly and not managing that growth? If your business model is to disrupt an existing industry via the use of technology or other means, can you and your financiers survive the initial pain of losing money to build your market position? What’s the take away from all this? Ensure you have a sound strategy in place as a foundation for your business success! This entry was posted in Uncategorized and tagged startup, strategy on September 2, 2016 by rossadmin. 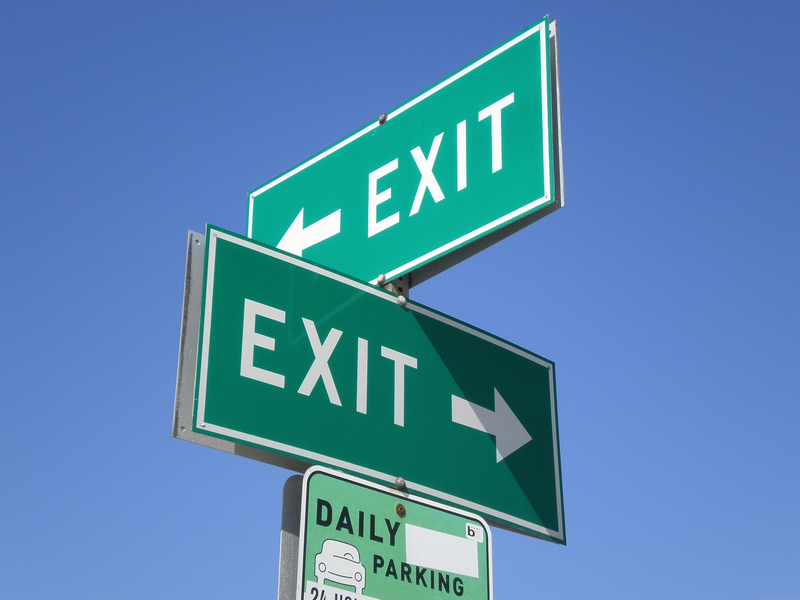 When you start planning to start your own business, you should be also planning how you will exit that business. Starting your own business is perhaps your biggest financial investment, along with your home, and you will want to ensure that the return on this investment is maximised. 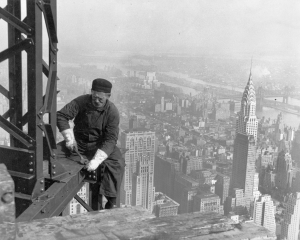 Will you sell your business through a business broker when the time is right? Will you plan to hand the business onto your children? Will you have a successor ready to take over when you are ready to exit? Or will you simply close the doors and leave it all behind? The ironic thing is that recent surveys indicate that less than half of surveyed SME owners have a succession or exit plan in place. Your exit strategy is a key issue because you want to maximise the value of your business and get the timing right and make sure you don’t have to delay your retirement. 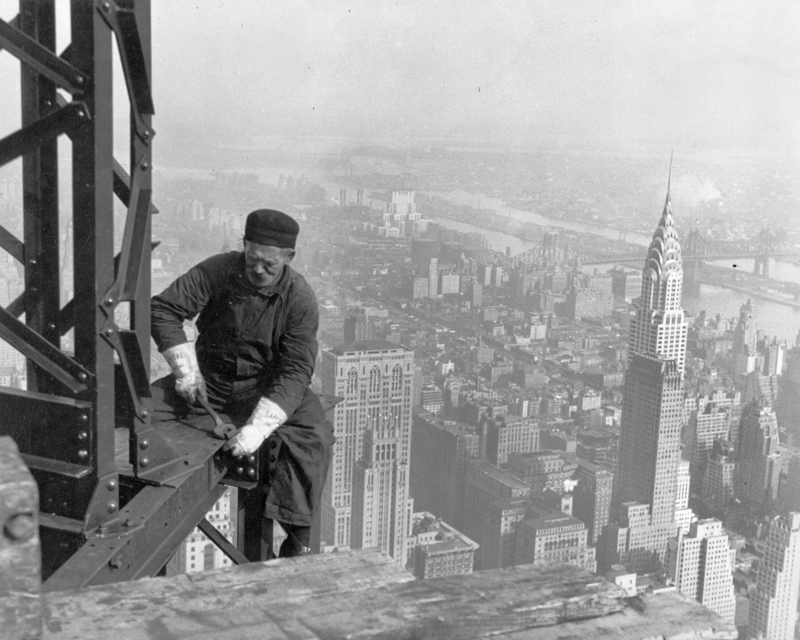 An interesting statistic is that the average age of a SME owner is 56! Our ageing population means more and more businesses will come up for sale meaning by pure supply-demand economics, business sale prices will fall. This is particularly relevant as more baby boomers head towards retirement and are looking to exit their businesses. Before exiting your business, you need to document processes and formalise customer, supplier and employee relationships and ensure that the business is not dependent on you for it to succeed. The business’ profits need to be sustainable in a potential purchasers eyes. Nobody will be interested in buying or running a business which collapses following your exit if you are in reality the business. It is generally accepted that it takes 3 to 5 years to have a business ‘sale ready’ so don’t delay developing your exit strategy. 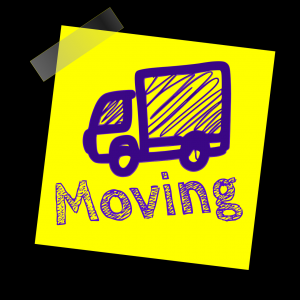 You want to be ready in case an unexpected offer to buy your business materialises. Any potential purchaser of your business will undertake a due diligence process which will cover all aspects of your business to ensure it is legitimate and sustainable and that the numbers presented stand scrutiny. From that due diligence process, a potential buyer will put a value on the business most likely a profit multiple ratio depending on the industry type, scale of business, concentration of customers and key suppliers and the risk profile of the business. Profit multiples used to value a business are falling in recent times illustrating that it is a buyers market when it comes to business sales. Another option is to put a board in place prior to putting your business up for sale. A board can add value to your business and also make it more saleable and can present an opportunity for you to stay involved as a board member if the new owner so desires (and you too)! So ensure you have your succession and exit strategy in place as a foundation for business success. 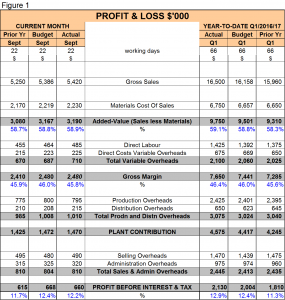 This entry was posted in Uncategorized and tagged activity based costing, chief financial officer, part time cfo, startup, strategy, Virtual CFO on August 29, 2016 by rossadmin. Last week, the full bench of the Fair Work Commission resolved that periods of regular casual employment will now be counted towards redundancy entitlement calculations. The advantage to employers in ‘casualising’ their workforce is slowly being eroded away, and this latest decision is another step in that direction. The decision means that workers who start as casuals before their positions become permanent, either full-time or part-time, will have their full length of service recognised in the calculation of their final redundancy pay out. An appeal by the Australian Manufacturing Workers’ Union was upheld reversing a decision made earlier in the year which allowed a ship building company to only count the period of permanent employment in the calculation of redundancy payments. 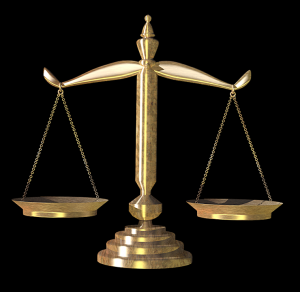 To be included in the calculation of years of continuous service, the period of ‘regular and systemic casual employment’ must be part of the period of employment from which an employee is being made redundant. There can be no break between the period of regular and systemic casual employment and the transition to permanent employment. The decision does not apply to employees who were casuals when their employment was terminated however. If you are in this situation, you should talk to your Industrial Relations advisor to ensure you are calculating redundancy payouts correctly. 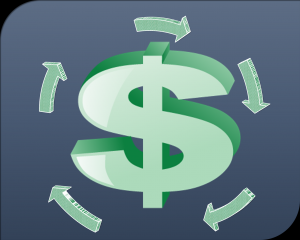 This entry was posted in Uncategorized and tagged activity based costing, budget, chief financial officer, Costing, part time cfo, startup, strategy, Virtual CFO on August 21, 2016 by rossadmin.